There’s another Amazon Prime price hike coming, but it will only affect certain people. 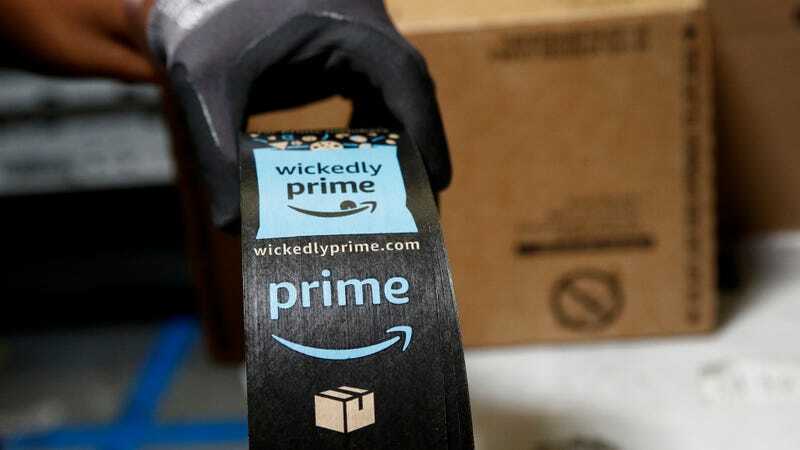 Monthly Prime members will soon see their fee jump from $11 to $13, though they can still cancel at any time without penalties. Meanwhile, students paying for monthly Prime will see an increase from $5.50 to $6.50. That might not seem like much for either group, but it adds up. Just to be clear, nothing will change if you’re paying $100 a year for a Prime membership. If you’re paying by the month—perhaps because you wouldn’t or couldn’t pay the $100 annual fee—the $11 to $13 bump amounts to an 18 percent price increase. If you extrapolate the change over the course of a year, this means monthly Prime members will see their fees increase from $132 a year to $156 a year. That’s over 50 percent more expensive than the standard $100 annual fee, all for the convenience of paying by the month. Amazon obviously wants people to pay for the annual membership fee. This was even clear when the company introduced the monthly Prime program in 2016. Back then, paying for Prime by the month meant that you were paying 30 percent more over time for the freedom to come and go. If you just wanted that sweet free shipping for the holidays, for instance, you could sign up in November and cancel at the end of January, all while avoiding the steeper annual membership fee. The monthly program also appealed to those who couldn’t afford one big $100 fee. It’s worth pointing out that Amazon is not changing the $6 monthly fee for Prime members on government assistance. Amazon has always wanted everyone to pay for Prime all year. That’s how the company can afford to offer so many perks. Without wondering too much about the economics of Amazon’s pricing structure, we do know that Prime offers a few more benefits now than it did a couple years ago. There’s a rotating selection of free eBooks. There are discounts at Whole Foods, the rich person grocery store that Amazon bought last year. There’s a lot more Prime-only Video content, including new shows and movies from Amazon Studios. Are any of these perks worth an extra $2 a month? That depends on how much you like free eBooks and discounted turkey and Manchester by the Sea. Here’s the thing: The price of Prime is probably going to keep creeping up for everyone. Back in 2014, Amazon raised the annual membership fee from $80 to $100. It was only natural that the once-new monthly membership would see a price hike, too. But we’re still sticking to something we said four years ago when that last annual membership fee bump happened: Amazon Prime is the best deal in tech. For now, anyways. Is Amazon Prime Still the Best Deal in Tech?